The Ninth Circuit Court of Appeals (the federal appeals court for all California district courts) recently considered a case in which a plaintiff argued that his claim should have been tolled when he failed to timely file while he was a minor. According to the court’s opinion, the plaintiff’s father died in a car accident in February 2005, when the plaintiff was nine years old. The plaintiff’s mother filed a claim against the U.S. Federal Highway Administration in May 2011, on behalf of the plaintiff and other potential beneficiaries. The claim in that lawsuit was that the highway barrier was not tested and approved according to the Federal Highway Administration’s rules. The plaintiff was sixteen years old when that suit was filed. 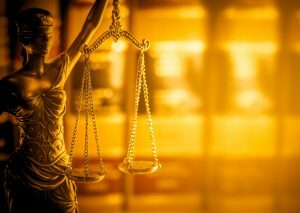 The Federal Tort Claims Act (FTCA) requires that plaintiffs exhaust certain administrative remedies before filing a case in court. Under the FTCA, in order for a plaintiff can bring a tort claim against the United States for the negligence of U.S. agencies and employees, a plaintiff must first file a claim with the relevant federal agency and receive a decision from that agency. Under 28 U.S.C. § 2401(b), a claim must be made to the agency within two years “after such claim accrues.” In addition, if the agency denies the claim, a claim must be presented in court within six months (beginning on the date of mailing of the denial of the claim). There are many chemicals that can cause birth defects in pregnant women who are exposed to them. Generally, the statute of limitations for toxic exposure cases is only two years. That means that if you try to bring a toxic exposure claim after the two years have elapsed, the claims will likely be time barred. However, with cases of in utero toxic exposure, it may take much longer than two years to fully understand the nature and causes of the injuries. Thatis why prenatal injuries have a six year statute of limitations. Seemingly in conflict with the two- and six-year statute of limitations, the statute of limitations for toxic exposure cases is generally tolled while the injured party is a minor. A case heard by the California Supreme Court centers around whether the six years apply to in utero toxic exposure or whether a potential plaintiff has until they are 19 or 20 (18 plus the two years, give or take a bit due to when the exposure occurs) to bring the claim. If you suspect that you have been injured by toxic exposure, whether in utero or as an adult, you should contact a knowledgeable Southern California personal injury attorney as soon as possible. Time is of the essence to make sure you get your claim filed within the time limits. A plaintiff appealed from the judgment entered against her after the trial court granted the defendant’s motion for summary judgment on the ground that the two-year statute of limitations had expired. The incident in which the plaintiff was injured occurred in July 2010. She did not name the defendant in her initial complaint. On June 24, 2014, a year after settling with the other defendants, she amended her complaint to identify “Doe 1” as the defendant. She contended that she had no “actual knowledge” of the defendant’s identity or involvement until May 2013, and thus the statute of limitations was tolled under the law of “relation back.” Concluding that the woman did have actual knowledge, the appeals court affirmed the judgment.The plaintiff was a tenant in a building in which she maintained an office. On the morning of July 13, 2010, she was summoned because a burst water pipe had caused flooding in her office. Over a period of about an hour, she, her two sons, the building owners’ “maintenance guy,” and three or four of the defendant’s workers arrived at the building. They all began to move items out of the plaintiff’s office and into an empty office. In the course of doing so, someone moved four or five plastic carpet mats, which allow rolling desk chairs to move freely without damaging the carpet underneath, from the office to a concrete walkway outside the building. She slipped and fell on the wet carpet mats while removing her personal belongings from the office. She injured her back in the fall. The California Supreme Court recently held that the special limitations period for professional negligence actions against health care providers — rather than the general personal injury limitations period — applied to a negligence action brought by a patient injured after falling from a hospital bed.According to section 335.1 of the California Code of Civil Procedure, a personal injury action generally must be filed within two years of the date of the incident. However, a special statute of limitations applies to actions “for injury or death against a health care provider based on such person’s alleged professional negligence.” Unlike most personal injury actions, professional negligence actions against health care providers must be brought within three years after the date of the injury or one year after the plaintiff’s discovery of the injury by reasonable diligence, whichever occurs first.